Located around 1,500km from the closest major city of Australia, Alice Springs is known as an admired gateway for touring the Red Centre in Northern Territory. We can help you compare car rental in Alice Springs from top suppliers such as Budget, Avis, Hertz and Thrifty. The city has a varied community influenced by all the cultures who have made it their home. It is definitely a place to visit via a hire car, as it will help you to experience all the wonders of the Australian Outback at your own pace with your choice of company. Lose yourself in the spinifex and red dirt if Ayers Rock, Kings Canyon and the McDonnel ranges. There are many Aboriginal Art galleries in Alice Springs. If you haven't seen this art, we highly recommend it. Be sure to visit a gallery and learn that whether contemporary or traditional, each painting tells a story. There are also tours available to learn about the surrounding area and the spiritual significance it holds to the Aborigines. Why rent a car in Alice Springs with VroomVroomVroom? Quick and easy: We can give you the best deals in Alice Springs in less than two minutes. Compare rates from all suppliers to find the one that suits your needs and budget. Save time and money: At VroomVroomVroom, we do all the hard work for you. Our service shows you all available hire cars and rates from the leading suppliers in Alice Springs. You can alsohire a campervan and stay at heritage caravan and tourist parks in Alice Springs with campsite facilities which include barbecue areas, kitchen, laundry, bathrooms, swimming pool, powered and unpowered sites, among other amenities. Superb service: Contact us for your car hire in Alice Springs enquiries and we will provide you with accurate information that will surely make your day! You may also leave us a message on Facebook and Twitter. Has it ever occurred to you that camels could be found in the outback? Well, we haven't thought about that either. Back then, the original method of travel in the Australian outback was via camel. Interestingly, these camel trains were run by the Pathan tribes in the North-West frontier of India and Pakistan. Well, if you still don't believe it, you can come ahead and visit Alice Springs to see camels in Australia for yourself! The city happens to be in the Northern Territory of Australia. Its unique qualities include its American influence. Over 2.000 US citizens can be found in the area and spread the festivity of their American Holidays. Yes, that means the Alice Spring Aussies also celebrate Thanksgiving Day! Do you have a tight budget, but still want to experience a high quality tour? Don't worry because you can still experience the ultimate camping trip in Alice Springs without burning a hole in your pocket. 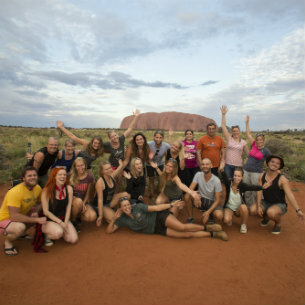 Join the "3 Day Uluru Tour" by The Rock Tour to get a chance to witness some of the most marvelous attractions in the Red Centre including the breathtaking sunset and sunrise of Ayers Rock, the magnificent Mount Ebenezer, the Aboriginal Cultural Cente, the Lake Amadeus Salt Lakes, and more! The award-winning tour company boasts of their highly trained tour guides so you know that you are in good hands during your trip to Alice Springs. Now, what did I say about those camels? Well, you can find them here at Pyndan Camel Tracks! It's a family-operated business that offers a memorable and unwinding camel ride experience in the Red Centre of Australia. It's just 15 minutes away from Alice Spring's Central Business area so you really have no excuse not to pop in and feed the camels. They have one hour camel tours where you get to ride a camel and enjoy breathtaking views across the MacDonnell Ranges. They offer three tours per day so make sure to check the schedule online. A must place to visit in Alice Springs, which kids and grown ups will surely enjoy. Witness their amazing collection of Australian snakes and lizards, and learn all there is to know about reptiles. Plus, you get to feed and handle them at the end of the show. Imagine floating across the Outback whilst watching the breathtaking sunrise. 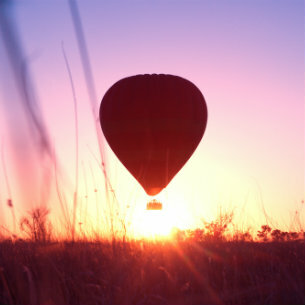 Imagine no more as Outback Ballooning makes this dream a reality! They will pick you up from your accommodation approximately 1 hour before first light and travel south of Alice Springs to the launch site. Flying over the historic Owen Springs Cattle Station, you will see spectacular views of the MacDonnell Ranges and early morning skies. As you ride the big balloon across the vast expanse of the Central Australian outback, keep an eye on the native wildlife including the iconic red kangaroo. You will gain an appreciation of the remoteness of the area as the balloon glides across the landscape. After landing, you may become involved in assisting the crew as they pack the nylon balloon back in to its bag or may prefer to take photographs, the choice is yours. At the ballooning landing site, there is time to enjoy the desert tranquility as light refreshments accompanied by Australian sparkling wine and tropical fruit juice are served. There is an opportunity to purchase souvenirs and a commemorative flight certificate is given to all participants before heading back to town. Transfers (at the end of tour) to the airport or other tours are available on request. Want to experience the Great "Australian Outback"? No better place to start than Alice Spring Desert Park. Located at the foot of McDonnell Ranges, learning about the Australian Outback has never been more enjoyable. There are displays of plants and animals, and a centre for Aboriginal culture. To complete your Alice Springs journey you must head on to the Alice Springs Desert Park. In just a span of a few hours you can already unearth the many secrets of the Central Australian deserts. Encounter all sorts of plants and animals as you go on one of the walking trails. At the end of your excursion you're also given the bonus in the form of cinema. When you're done with the Desert Park you'll definitely come back home from Alice Springs with more stories to tell, more skills to show off and more desert secrets to keep you fashionably wise. Almost every tourist in Alice Springs come to visit Ayers Rock. Make sure you spend time at this picture-perfect setting as the rock changes its colour while the sun sets. You can easily get there by renting a car through VroomVroomVroom. This award-winning hotel is situated right in the heart of the Northern Territory thus giving you easy access to the local attractions. There is also a wide range of boutiques, shops, art galleries, restaurants, and cafes in the area. Whether you are travelling solo, with your partner, or with a group, Aurora Alice Springs has the perfect accommodation for you. They offer standard rooms, deluxe rooms, family rooms, and studio spa suite. Guests have the privilege to use their modern facilities including their heated spa, outdoor swimming pool, barbecues, and free parking. Feedback: so easy. better than the rest! Avis Doubletree By Hilton - 82 Barrett Drive, Alice Springs, NT. Budget Alice Springs - Shop 3/113 Todd St, Alice Springs, NT. 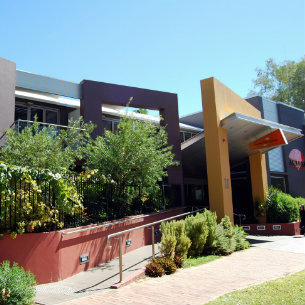 Hertz Alice Springs Downtown - 8 Kidman Street, Alice Springs, NT. Thrifty Alice Springs - 71 Hartley St, Alice Springs, NT.